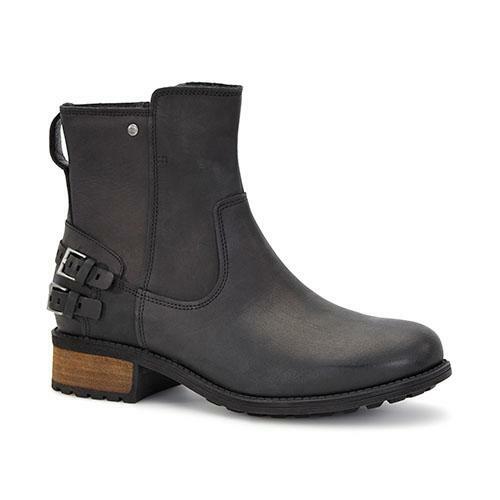 From the Avalahn collection by UGG Australia the Orion short bootie features water resistant leather forefoot and heel and rich leather shaft and decorative heel straps and a medial metal zipper. 61/2" shaft height. 3mm Poron cusioning on insole covered in 7mm curly UGGpure. 11/2" stack leather wrapped heel.